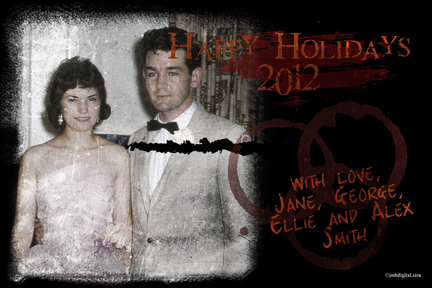 Being Retro: Holiday Cards of a Disturbing Nature! Be Different, Be Cool... Scare Your Friends!! Are you interested in a "Holiday Card" this year that would be different than everyone else and of a spooky nature... well look no further. I am offering to design a special card/insert for you, that will be custom or you let me choose the direction of your personal design. Email me at: jeremy@jmhdigital.com for more details!! I want some, I want some! Spooky man. That's what you call niche marketing. Hope you sell a bunch. You know I bet there is a market for this!